Gaming played their last game of the split during Week 9, as they have been out of playoff contention towards the ending of the regular season. Their game against 100 Thieves was a one-sided affair as Meteos snowballed his mid and top lanes to carry the game. 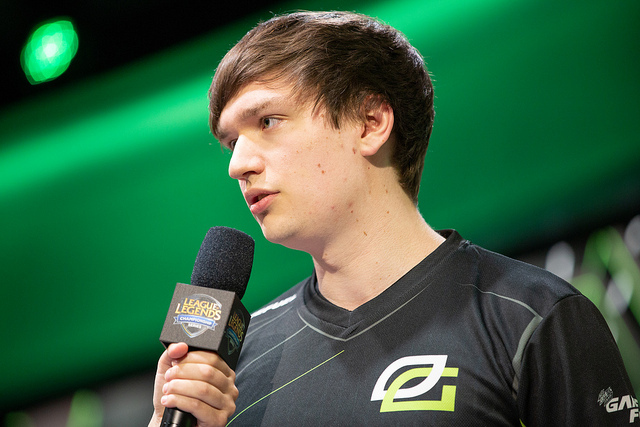 Esports Heaven got to speak with the OPT jungler Meteos after his victory to discuss the game, his thoughts on Crown after a split, jungler aggression and independence, work ethic and closing thoughts on Spring Split. ﻿ Izento has been a writer for the LoL scene since Season 7, and has been playing the game since Season 1. Follow him on Twitter at @ggIzento for more League content. Image courtesy of LoLesports Flickr.